Last night, BGI Net Impact (@bginetimpact) hosted a great event featuring guests Dawn Danby (@altissima) and Gifford Pinchot III (@giffordpinchot) on the topic of intrapreneurship. Taking place at the new Center for Impact and Innovation Center in Pioneer Square Gifford and Dawn shared stories of individuals making positive change happen within large organizations. Gifford and Dawn preparing are prepared to share their stories. This was the first time that Dawn and Gifford have presented simultaneously. The admiration and respect the two have for each other was palpable. It was beautiful to see mentor and student be able to share time and space. They were each so proud to be in the other's company. 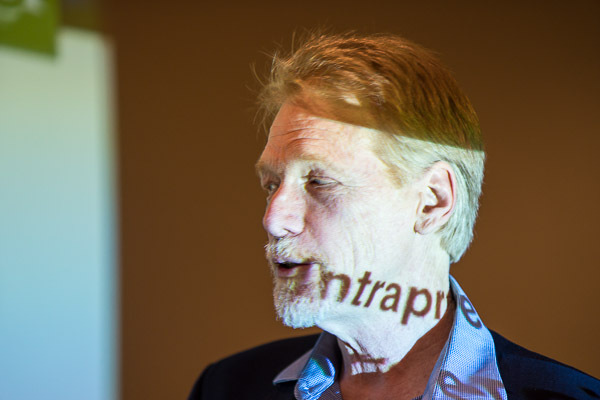 Gifford Pinchot III and Libba Pinchot literally wrote the book on Intrapreneurship. Dawn, a BGI alum has been named by Fast Company as one of the most influential business women in the nation. She now works for Autodesk and works to continuously and seamlessly weave sustainable principles within the product and organizations. One of her most notable innovations, accounting for waste, carbon footprint, and other metrics into the design software has changed the fundamentals of industrial design. 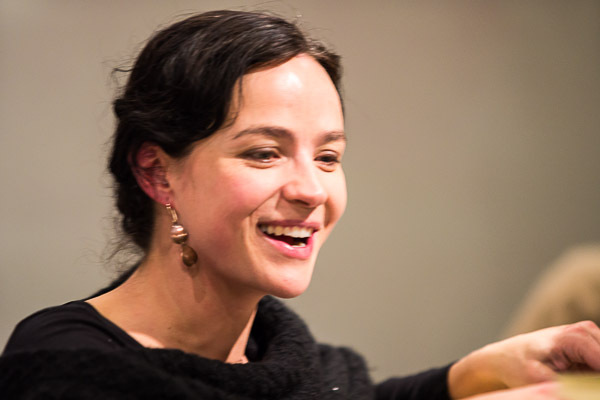 Dawn Danby uses her wit and sense of humor to overcome obstacles and stay committed to the cause. After the presentations, a BGI Dean, John Gardner announced Gifford's 70th birthday, and the networking time turned into a birthday celebration. 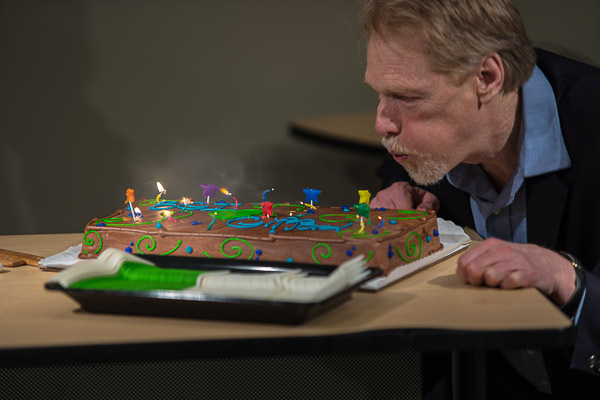 Gifford blowing out the candles on one of his birthday cakes. That same cake 30 seconds later. Good thing we had a backup.